Thomas A. Edison once said: ‘Most of my work is trial and error, in other words, its 99% perspiration and 1% inspiration’. In the book “Outliers”, the author states he has discovered a 10,000 hour rule where it takes approximately 10,000 hours of practice, work, effort, etc. before a person of talent can truly perfect that talent and “play” on the world stage. He uses examples such as Mozart, The Beatles, The Rolling Stones, Yo Yo Ma and others to illustrate this rule. Individuals of lesser persistence and determination will be “also- rans”, even though talented, they simply do not have the “stuff” to stay with it—go the distance, pay the price. QUESTION: Are Asian student brighter, born with more intellect than Westerners? If not, why do they succeed when others fail? ANSWER: They work harder, longer and they are much more persistence and determined than their Western counterparts. They are born with no greater ability than any other normal child placed upon this Earth. The bottom line: In the western world, we give up much too quickly and much too often. During my university days, all mechanical engineering students were required to obtain, before graduation, a minor in mathematics. This was quite a revelation to me since my strong suit in high school was definitely not math. I will never forget one course—Infinite Series—in which the professor on the very first day, gave each student a “Pink Pearl” eraser. ‘The very best mathematicians make a lot of mistakes. They better have a big eraser’. His words exactly! He made us prove it in that course. We equate difficulty with ignorance when in reality, the most satisfying feelings come when we master a subject AFTER difficulty, some times great difficulty. There should be no time limit on achievement. We were built to strive, maybe not for absolute perfection but certainly for a degree of success. When we tell ourselves, ‘this is too hard; it will take too long’, we place insurmountable limits on potential successes when time and effort will generally prove we can succeed, we can accomplish. The following information was taken from EarthSky.org, The University of Colorado and Discover Magazine. 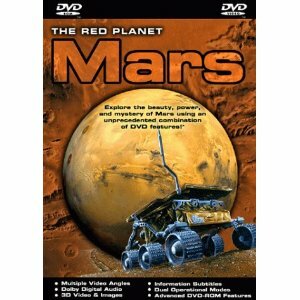 We earthlings have always had a very real fascination with the planet Mars. 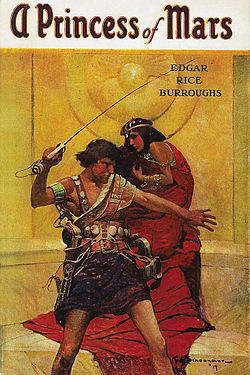 My first recollection was from reading a book by Edgar Rice Burrows: “Princess of Mars”. Great book and one that was recently made into a movie. As usual, the hero was dashing and the princess was beautiful. Could it have been any other way? There, of course were others—many others. These go back at least sixty years and maybe longer. Reality is, Mars is a very well-worn planet and one that has a past. It is a beaten and battered planet. This is according to a research team that recently finished counting and cataloging a staggering 635,000 Martian impact craters. Astronomers have been peering for centuries at the craters created by cosmic buckshot pounding its surface over billions of years. From here on Earth we certainly don’t see the evidence of those impacts. All looks placid, quiet and very smooth. 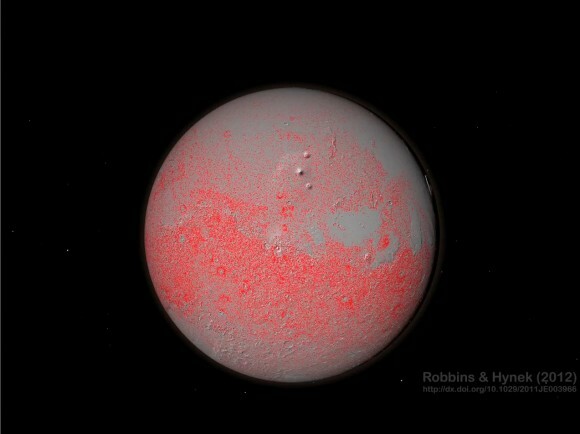 We definitely must look much closer to get a picture of what 635,000 + craters can do to the surface of any planet. Just how beat up is it? Really beat up, according to a University of Colorado Boulder research team that recently finished counting, outlining and cataloging the impact craters existing on the surface of the red planet. Each crater is roughly a kilometer or more in diameter. As the largest single database ever compiled of impacts on a planet or moon in our solar system, the new information will be of help in dating the ages of particular regions of Mars, reported CU-Boulder postdoctoral researcher Stuart Robbins, who led the effort. The new crater atlas also should help researchers better understand the history of water volcanism on Mars through time, as well as the planet’s potential for past habitability by primitive life. A paper on the subject by Robbins and CU-Boulder faculty member Brian Hynek appeared in June 2012 in the Journal of Geophysical Research – Planets, a publication of the American Geophysical Union. A companion study by the two CU researchers was published in a recent issue of the same journal. 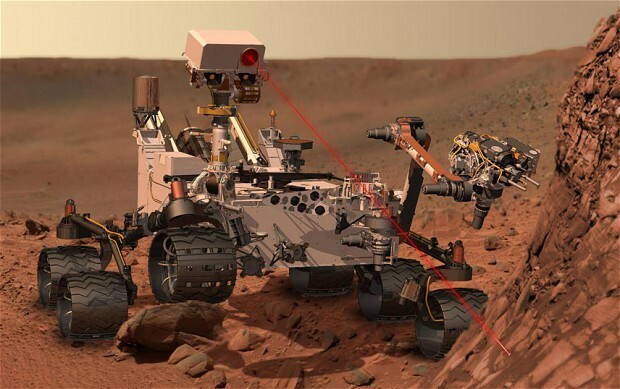 The study was funded by NASA’s Mars Data Analysis Program. Many of the large impact craters generated hydrothermal systems that could have created unique, locally habitable environments that lasted for thousands or millions of years, assuming there was water in the planet’s crust at the time. But large impacts also have the ability to wipe out life forms, as evident from Earth’s dinosaur-killing Chicxulub impact 65 million years ago. 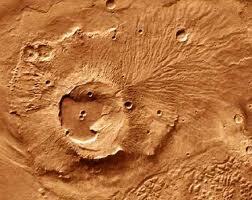 Craters act as a ‘poor man’s drill’ that provide new information about the subsurface of Mars. Although Earth has lost most of its geologic record due to tectonic plate movements and erosion, understanding the impact crater history on the moon and Mars can help us reconstruct our early days. The photo above shows the Melas Chasma on Mars, which reaches a depth of 5.6 miles; it is part of the staggering Valles Marineris rift valley, which stretches almost 2,500 miles across the surface of the red planet. For comparison’s sake, our earthly Grand Canyon is 1.1 miles deep and 277 miles long. This Chasm was undoubtedly created by an impact from a falling asteroid. 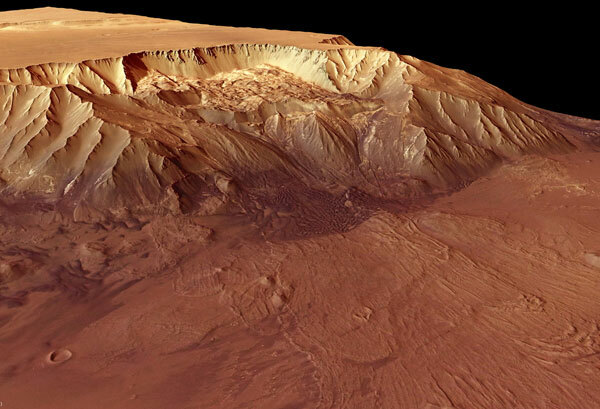 This remarkable image was taken by the High Resolution Stereo Camera on the European Space Agency’s Mars Express orbiter. In addition to giving us something neat to gawk at, the image also reveals evidence of Mar’s watery past. 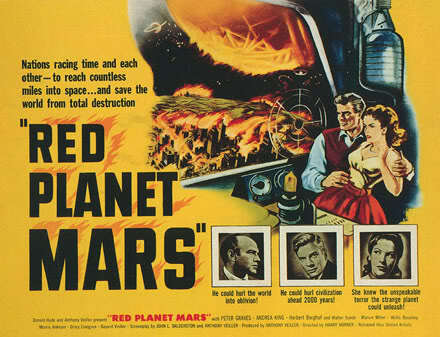 I suspect we will find Mars to be a planet in which life was thriving at one time in the very distant past. Let’s just hope this is not predictive of what we may find at some future time here on Earth. At any rate, Mars continues to be a planet of significant mystery. Certain portions of the following article were taken from the publication “Design News”. The article was written by Elizabeth Montalbano. Ms. Montalbano is a contributor to the publication. Nature Technology Systems (NTS) GbH has designed a principle based on the same elements of energy output, speed, and consistency used in wind turbines, according to the company. The result is a method that uses clusters of kites to form an aerial power station 1,000 feet to 2,000 feet in the air that produces energy on the ground. The system, which NTS is testing in collaboration with the Fraunhofer Institute for Manufacturing Engineering and Automation IPA in Stuttgart, works like this: The kites fly at high altitudes, where there are strong winds, on a tether of cables about 2,000 feet in length that’s connected to vehicles on the ground, said Joachim Montnacher, an engineer at the IPA, in a press release. Those vehicles are pulled around a circuit on rails, producing kinetic energy that is then turned into electricity by a generator. 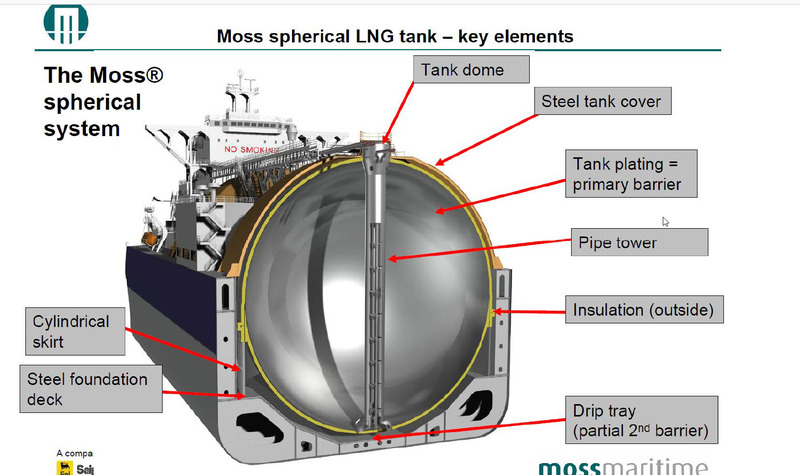 The vehicles include the control and measuring mechanisms for the energy generated. 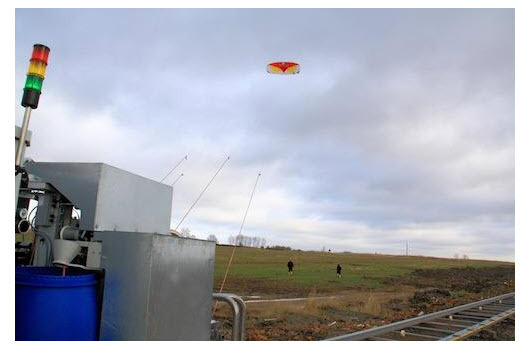 One of the test kites being used to create energy according to a method designed by Nature Technology Systems in Germany makes its first flight. The company — which partnered with Fraunhofer Institute for Manufacturing Engineering — said the system it created uses the same principles as wind turbines but is more efficient and environmentally friendly. Specifically, the kites generate the energy through buoyancy achieved when a kite flies in high wind speed, according to NTS. Anyone who has ever flown a kite will know that the pull of the kite increases the faster the kite flies. NTS’s design of the system allows the kite to surpass a buoyancy of about 110 lb/22 ft. “So when we fly a 20m2 (215 ft) sized kite it will be able to drag and lift up to 1 ton in weight,” the company explained on its Website. NTS insists its kite energy farms are more efficient, economical, and environmentally friendly than wind turbines. Because typical wind turbine rotors max out at a height of about 650 feet, they can’t take advantage of winds at higher elevations, which are stronger. “Depending on wind conditions, eight kites with a combined surface area of up to 300 square meters (about 3,200 feet) can equate to 20 conventional 1 megawatt wind turbines, Montnacher said. The kites also avoid material and financial investment in wind turbine infrastructure, which has more of an impact on the environment. NTS will continue to test its kite system and will reveal its findings and seek feedback from the energy industry once these tests are complete, the company said. The Germans aren’t the only ones taking to the skies to find new and different ways to use wind and air currents to create alternative sources of energy. The US military recently tested a method to fly aircraft in formation that would promote fuel efficiency by using vortex surfing, a technique similar to what bicycle racers and migrating birds do when they cluster together to draft off each other. To me, the most significant aspect of this endeavor is—people and companies are looking. They are looking for alternate sources for energy. Sources that will not replace existing methods of creating energy but methods to supplement what we are doing already. I think this is extremely valuable. There are several drawbacks to the proposal you have just seen but –people are looking. I read a fascinating article yesterday published by NPR News. The article was written by Alix Spiegel and dealt with teaching methods in Eastern countries relative to teaching methods in Western countries. In 1979, when Jim Stigler was still a graduate student at the University of Michigan, he went to Japan to research teaching methods and found himself sitting in the back row of a crowded fourth-grade math class. The teacher had noticed one young man having great difficulty in drawing a three-dimensional cube. Try as he would, he was never able to get the proper dimensions resulting in a cube that looked misshapen and just plain incorrect. The teacher asked the young man to go to the board and begin working to draw the cube correctly. The youngster had no reluctance in doing so realizing that none of the students would ridicule him for his efforts. He did not break into tears at the prospect of working in front of his classmates. In the United States, generally, the best students are asked to put their work out for all to see, not a student struggling with concepts. He tried—he failed. He tried—he failed. By the end of the class period, he had drawn the cube correctly. His classmates all yelled—“He did it.” They were overjoyed at his success and gave him a rousing ovation. The kid smiled a huge smile and sat down definitely proud of his accomplishment. Stigler is now a professor of psychology at UCLA and studies teaching methods around the world. It was this small experience that gave him the desire to know more about how students learn and how they are taught in classrooms outside the USA. In Eastern cultures, Stigler says, it’s just assumed that struggle is a predictable part of the learning process. Everyone is expected to struggle in the process of learning, and so struggle becomes a chance to show that you, the student, have what it takes emotionally to resolve problems by sheer persistence through that struggle. For the most part, in Western countries, intellectual struggle in school children is seen as an indicator of weakness, while in Eastern cultures it is not only tolerated, it is often used to measure emotional strength. In Western cultures, academic excellence is not linked with intelligence in the same way. It resides in what they do, but not who they are nor what they are born with. Eastern cultures stress trying over and over with patience. They are told that great effort can produce great success—eventually. They are definitely encouraged to persevere and don’t stop until you succeed. The focus is on the process despite the challenges, not giving up, and staying intense. All of this matters because the way you conceptualize the act of struggle with the learning process profoundly affects your actual behavior. Obviously, if struggle indicates weakness — a lack of intelligence — it makes you feel bad, and so you are less likely to put up with it. But if struggle indicates strength — an ability to face down the challenges that inevitably occur when you are trying to learn — you’re more willing to accept it. But the Japanese students worked for the entire hour on the impossible problem. “And finally we had to stop the session because the hour was up. And then we had to debrief them and say, ‘Oh that was not a possible problem; that was an impossible problem!’ and they looked at us like, ‘What kind of animals are we?’ ” Stigler recalls. Each system has its strengths and weaknesses. It was fascinating to Stigler that parents and teachers in Eastern cultures feel at times their children and students are methodical but not very creative. This they give to Western cultures and schools. Their kids can do the math and science, but they have difficulty in conceptualizing. The real question becomes, can one culture learn from another? Can we teach in the Western world patience, struggle can be a good thing while maintaining our creative “bent”? Can teachers in Eastern cultures teach creativity while maintaining the idea that struggle is sometimes a good thing? Stigler says—absolutely! Philip: He’s in and out. He’s been asking for us and really seems to get agitated when we both are not around. It’s almost as if he has something to say but wants us both to hear it. I’m thinking he’s intentionally hanging on until he gives us his message, maybe the last message. Megan: Should we ask the doctor to increase the morphine drip? Philip: There are no signs his level of pain has increased. As a matter of fact, he sometimes seems to be almost blissful. But other times, he really gets worked up. I don’t know if it’s the medication or not. I feel maybe he’s hallucinating; then again, I’m not too sure. He will blurt out strange phrases: no transponder, looks like hieroglyphics, vanished into thin air. Really strange. I called the nurse once when he was talking crazy and she felt it was the medication. But through all that, he seems to actually want, no need, to give us a message. He keeps asking for you. I think he probably knows I’m here but you were not. I told him you had to go home to check on the kids. That seemed to calm him down. I actually think he understood. Megan: Dad, it’s Megan, I’m here. Philip and I are both here. Can you hear us? Can you talk to us? Philip, why don’t you go down to the cafeteria and get something to eat? Take a break. I’ll call you if there are any changes or he wakes up. Philip: OK, I could use a break. I’ll call home to make sure everything is OK, get a quick bite to eat and come back up. Call me on the cell if he wakes up and wants to talk. Brigadier General Charles O’Malley MacLellyan had been in declining health for some years. First it was the mild hart attack necessitating the insertion of a pacemaker, then a bout with pneumonia, now discovery of a mass on his liver. A biopsy indicated the mass to be cancerous. Charles was 84 years old and as with so many senior citizens, life had caught up with him. It had been a life replete with accomplishments: graduate of the Navel Academy, commissioned as a second Lieutenant in the United States Marine Corp, flight school where he learned to fly the “hot ones”, married for 49 years to the same lovely lady, three kids, eleven grandkids, and retirement as a “Brig”. Life could have been less kind. General MacLellyan was a self-starter and that wonderful gene had been passed down to his kids and his grandkids. Philip was an architect just completing a PhD and Megan, with a Masters Degree in Finance, was a hedge fund manager living in New York. When General MacLellyan was diagnosed with cancer, the entire family refused to allow him to sink into depression. They made sure a course towards regaining health was “the program of the day”. Frequent visits from the family, day trips, movies, plenty of telephone calls from the kids and grandkids; all helped to maintain his resolve and optimism. Radiation, chemo, then surgery to remove the tumor and surrounding tissue. For a year and eleven months, he beat the demon. The recurrence started with mild discomfort then considerable pain. Return trips confirmed the cancer had spread and doctors indicated it was only a matter of time. He was advised to put his affairs in order and was given four maybe five months at the most. From the diagnosis until he was bedridden was exactly twenty-one months. Through it all, he maintained his dignity and most days, his sense of humor. Everyone thought his resolve was legendary. Things were moving quickly and now it was only a matter of time, maybe hours, before he would slip away. After graduating from the Navel Academy, Second Lieutenant MacLellyan shipped off to flight school where he got his “ticket” to fly the F-4B Phantom. The Phantom, at that time, was the hottest jet in the fleet and was a dream to fly. A picture of that aircraft is shown below. You will notice it is the carrier version. Enterprise was a floating city and being his first duty assignment, Charles was delighted. He flew 77 missions over Viet Nam before reassignment to Pensacola, Florida as a flight instructor. Good duty and at least, no one was shooting at him. That’s where he met Eleanor James. Eleanor was to become the first and only Mrs. MacLellyan. Tragically, Eleanor died in an automobile accident three days after their forty-ninth wedding anniversary. Drunk driver! Charles never remarried. Philip: I’m coming right now. Give me about five minutes and I’ll be there. Megan: How do you feel dad? Any pain? Do I need to call the nurse? Charles: I do have some pain but if we increase the medication I won’t stay lucid enough to tell you the story. I’ve got to tell you both the story and then you can decide if I’m sane or insane. Philip is coming right? I’ve kept this secret for about thirty years and now it’s time to open the windows. Clear the air. Megan: He’s coming. I just called him. He’s on the way. Megan had no earthly idea as to what the story might be and waited with some dread until Philip came into the room. Philip: Hello dad. You’re not looking all that bad. Maybe we can squeeze a few more years into your immediate plans. “You both know that in 1974 I was stationed in Pensacola as a flight instructor. Great duty and I enjoyed the Florida sun along with the instruction. 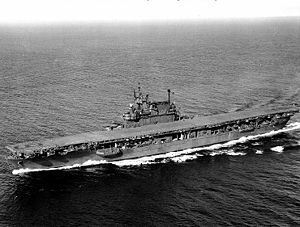 During the days after Viet Nam there were few Navy and Marine officers approved for flight school due to the numbers needed during the war. That gave us more than enough time to get these kids additional training not allowed during the hostilities. It was good duty. 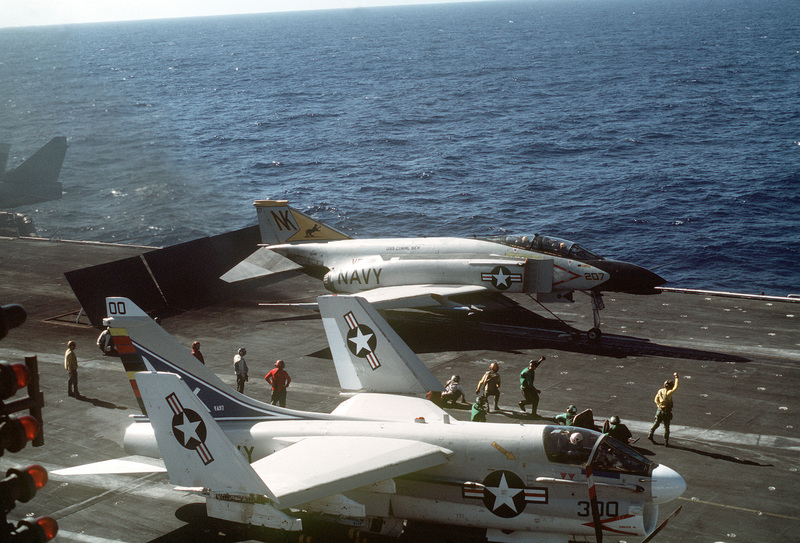 Towards the end of ’74 I was asked to ferry an F-4 to Miramar for the “Top Gun” candidates. Of course that’s cross-country and I jumped at the opportunity to do so. I left at 0634 one morning, hoping to get there with enough time to catch a space-available flight back to Pensacola later that evening. The flight was absolutely uneventful for over an hour. I had a tanker waiting for me about half way through the flight and the transfer of fuel was also uneventful. Thirty plus thousand feet, blue sky, no appreciable turbulence, all systems working properly, all was well with the world. I suddenly noticed a small but very bright light off my right wing but, felt it was a commercial aircraft headed east. I gave it no real thought until I noticed it growing larger in size. Then it dawned on me it could be headed in my direction. I was flying IFR so I called the center and asked if they had me on radar. At that time I was instructed to squak-ident for a positive identification. They gave me the codes; I put them in and hit the button. At that time the Center radioed Mac and gave him longitude, latitude, air speed and elevation. Charles: Center, do you have the airplane off my starboard side also? Center: Negative 309, we see nothing in the area at all. Charles: You must have something. It appears to be approaching because the image is getting larger. Center: Can you describe the plane? Charles: I can see no real definition right now. Just a very shiny reflection. No discernible features, which is odd in itself. Center: Can you tell the elevation? Charles: It appears to be somewhat higher than me and I’m 32,000 feet. Center: 309 we want you to squak-ident the following numbers, 4-8- 3-7. Right now. Center: We have you but we don’t have the other bird. Do you still see it? Center: Very strange. All we can recommend is for you to keep an eye on the object and contact us again if we need to authorize a heading or altitude change. We want to know if evasive action becomes necessary. At this point I was completely baffled as to why Center could not read the second plane, or object or whatever. I pulled my WAC charts to find the location of Area 51 thinking maybe this was a test flight for some advanced fighter with stealth capabilities. We all knew the DOD was working in that direction and maybe the spooks had made a breakthrough and detection by radar was not possible. 51 was not that far north and that was the only reason I could think of the Center could not detect the plane. In a heartbeat the object appeared on my starboard side. It actually seemed to come out of nowhere. I certainly could see it now. How can anything accelerate that fast? Charles: Center, can you see this thing now? Charles: How can you miss it? It’s big as a damn house and its glowing white hot. How could anyone miss this thing? What is it? What are the boys in Area 51 doing? Center: Take evasive action? Do it now. I put the F -4 into a dive, losing altitude at 3,500 feet per minute. The glowing object followed me without losing position. It was as though I was looking into a mirror. My entire plane was bathed in the glow from the object. I say object because I could see no wings, no vertical stabilizer, no flaps, no cowling. It appeared to be completely smooth with no parting surfaces at all. I had never seen anything like this in my life. I started to maneuver turning left away from the craft. Then climbing. Then diving again. I could not shake this thing at all. Then I decided enough was enough. I quickly turned directly into the object. It made the same move instantaneously. I decided to level out and take a better look to see if there were any distinguishing marks. I looked for lettering that might indicate aircraft number or any writing that would indicate warning, caution, etc. Our planes have those tattooed all over the surface to aid maintenance personnel and warn them of any dangers from exhaust, static discharge, etc. I pulled my visor down to block the intensity of the light radiating from the surface. This helped somewhat. Enough to see very faint markings on one surface slightly under the plane. At first, I thought the marks might be abrasions or dents or scratches but then I noticed several of the characters were repeated in a fashion that seemed to resemble words in a sentence. I am not bi-lingual much less multi-lingual but these marks looked unlike anything I have ever seen. Then, the object disappeared as quickly as it appeared. It was simply gone. Charles: Center, do you still have me on radar? Can you see me? Center: Affirmative 309. We see you. Charles: The object is gone. Simply disappeared. Center: We never had indication as to its presence at all. Not at all. By this time I was thoroughly drained. Mentally exhausted. I decided to land at the Yuma Navel Air Station and collect my thoughts. Spend the night. Drink a beer and think about this. I really needed to see if there was any damage to my plane due to the glow. All systems were green and everything seemed to be operating properly but I wanted to check to make sure there was no damage. I called the Center and indicated my intentions. They in turn notified Yuma and gave me instructions to begin my descent. Twenty minutes later I was taxing up to the tower to spend the night. I checked all surfaces and saw no damage. No burn marks, no abrasions, no dents or scratches. It was as if this event never happened. I have been a pilot long enough to know that for even the shortest trips you always plan for having to stay over night. Weather alone can go south on you and its always better to be down her wishing you were up there instead of up there wishing you were down here. After calling a cab from base ops, I called home to tell Ellie I was delayed and would have to be staying overnight but would be home tomorrow. I then called my commander and indicated to him the need for a layover. I did not tell either about the incident. That was a story to be considered during the evening. I checked in to a Best Western, put down my gear and headed for that cold beer and a steak. Charles: Can you please tell me where I can get dinner? Any place within walking distance with decent food? Hotel Clerk: You bet Major, about two blocks down the road there is a place called Dining In. It’s definitely the best place in Yuma. Has the coldest beers and the best steaks. Great fries and onion rings also. Charles: Good enough and thanks. The kid was right. The steak was out of sight and the beer was on tap and Guinness. Not too many restaurants served Guinness in these parts so when you find it you had better tank up. During the dinner Charles tried to remember the events of the flight up to, during and after he saw the object. Charles: Waiter, would you mind finding me a piece of paper? I need to jot something down. Waiter: You bet. Be back in a minute. When the waiter came back, Charles tried to remember the marks on the vessel. He tried to associate the repetition of several to see if there might be some logic to their placement within the total stream. They seemed to be random but then again there was some form of sequence. He decided to investigate after he got back to see if there was rhyme or reason to markings. Charles had a good friend who was a linguist for the Department of Languages at the University of Florida. He would show him the markings and see if they were recognizable. He did decide to keep this quiet until further study was undertaken. Charles: Great steak. I hope to come back some day. Waiter: Where are you stationed Major? Charles: Pensacola. Naval Air Station in Pensacola. Waiter: Beautiful part of the country. Headed for Miramar? Charles: Yes, will be there tomorrow. Waiter: Have a good one. Charles: Will do and you also. “Major MacLellylan, have a minute? Charles: Who are you and how do you know my name? Voice: We know quite a few things ,Major. Charles: Just who the hell are you guys? At that time, both men presented Charles with identification. Both were field agents for the CIA. They were on a mission. Agent 1: Can we talk Major? Charles: Just what do we have to talk about? Agent 1: We need to know more about one specific event during your flight from Pensacola. The object you saw just west of here. The one at 32,000 feet. Charles: You know about that? Agent 2: Yes and we are very interested in what you know and what you saw. Can we come in to discuss the flight? Charles: What choice do I have? Charles: How do I know you guys are who you say you are? How do I check you out? Why should I not call the police right now? Agent 1: That would be a big mistake. We have friends in high places and your career would be over in a heart beat. At that point, I opened the door and we moved inside the room. Agent 1: We may as well start from the beginning. Please relate all of the events from the time you first saw the object until you decided to land at Yuma. All of the events from the day were told and retold. Questions asked—questions answered. Charles really had no doubts these guys were who they say they were so he cooperated completely. This “interview” lasted for over an hour. Charles: Look guys, I’ m flying back to Miramar then to Pensacola tomorrow and I need to get some sleep. I’ve told you all I know. I have not omitted any details. There was a certain degree of panic when the object got as close as it did so I certainly don’t remember every detail that happened. How about we call it a day and you guys move on. Agent 2: We can do that but no word about us being here and certainly no word about the events of this afternoon. No word whatsoever. This one stays in the bag until you hear from us again. Charles: What do you mean hear from us again? I want this to be over. Agent 1: Just relax Major. We work for people also. We will get back with you when the suits tell us what to do. In the meantime no word. Understand? Charles: I don’t really know who would believe me anyway. OK, now how about letting me get some sleep. The flight back to Pensacola was uneventful and MacLellyan was glad to get home, get back to work and put this episode behind him. He mentioned nothing to Ellie or anyone else about the occurrence because shortly after his arrival home he heard from Langley. We pick up the conversation in his own words as he describes the events following the flight to his children as he from the hospital bed. Charles: I don’t know if either of you believe me or not but this did happen and it happened just as I mentioned. One thing, Ellie told me she had two visitors from the CIA a few days after my arrival home. From her description, they were the same two birds who visited me in Yuma. Description was the very same. They did not mention my experience but they did indicate they were doing a background check for a possible position that would give me that first star. I felt it was a totally fictitious story but she believed it. Two weeks later I was called in to Col. Sharpton’s office. He was my commanding officer at the time. When I arrived the same two agents were there as well as their supervisor. I was ordered to keep quiet or there would be considerable repercussions relative to my advancement and I would find myself working for PanAm if flying at all. The events of the flight to Miramar were considered confidential and were never to be told—never, including life after the Marine Corp. I have kept that confidence until now. It seems fruitless at this point not to mention to you both what happened and to tell you that to this day I have no idea as to what I saw. I do have a confession. The paper I used to jot down the marking on the craft I’ve kept over the years. I did not tell the agents or anyone else about them being in my possession. I felt the only thing between me and sanity over all these years was going back, taking a look and trying to research their meaning. You will find that piece of paper in my briefcase by the bedroom door upstairs. All these years I kept it in the attic for safe-keeping. I want you both to take a look and continue trying to find the meaning to the words. I ‘ve done enough investigation to know they are words and not just marks. Greatly similar to ancient Coptic script. Very similar. Major General Charles O’Malley MacLellyan died three days later. His funeral was conducted , his life was celebrated, his memory lives on. Phillip and Megan still have the paper given to them by their father. They are still trying to find out the meaning to the words their father saw that evening long ago. There are those times when both feel they are being followed. There are those times in which they both think someone is listening in on their conversations. At work, at home, on vacation, even in church. Someone always seems to be watching. One of the most successful, if not the most successful, fighter the United States has ever produced is the A-10 Thunderbolt. Lovingly referred to as the “warthog”. To be properly grounded, let’s take a look at several JPEGS that will show the configuration. As you can see, this is a single seat airplane in which the PIC (Pilot in Commend) is truly in command. No weapons officer flying as the reel. 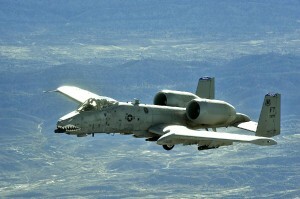 I have a friend who flew the A-10 during Desert Storm. He told me the aircraft was truly a pilot’s airplane in that you felt completely in control each time you got behind the stick. It was all you. 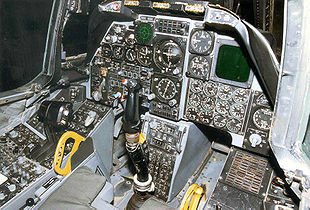 The cockpit has a fairly standard layout as shown by the photograph below. One note, the display is mostly analog in the rendition. Later versions of the A-10 have been upgraded to digital displays. One very distinct feature of the A-10 is the very large bubble canopy. This is to give the PIC the greatest visibility both forward and backward. The Thunderbolt II can be serviced and operated from austere bases with limited facilities near battle areas. Many of the aircraft’s parts are interchangeable left and right, including the engines, main landing gear and vertical stabilizers. Avionics equipment includes multi-band communications; Global Positioning System and inertial navigations systems; infrared and electronic countermeasures against air-to-air and air-to-surface threats. And, it has a heads-up display to display flight and weapons delivery information. 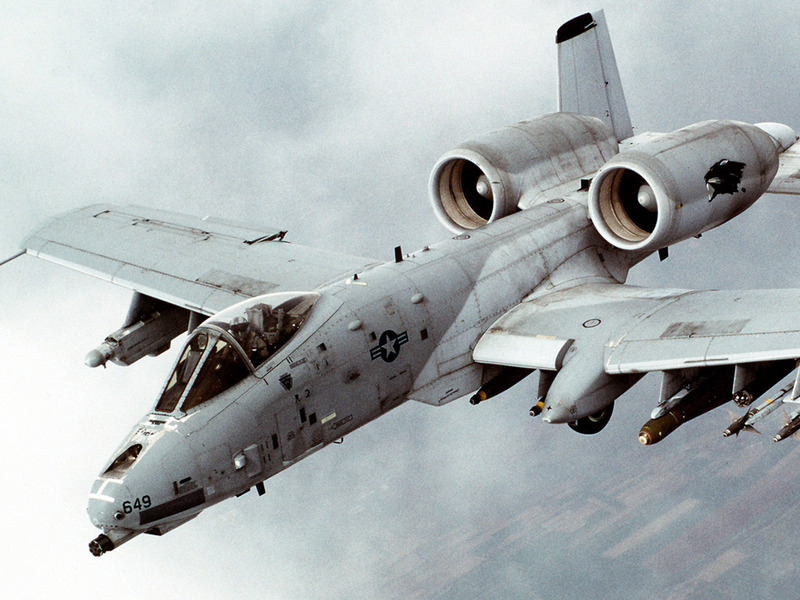 A-10s were initially an unwelcome addition to many in the Air Force. Most pilots switching to the A-10 were very reluctant because fighter pilots traditionally favored speed and appearance. In 1987, many A-10s were shifted to the forward air control (FAC) role and re-designated OA-10. In the FAC role the OA-10 is typically equipped with up to six pods of 2.75 inch (70 mm) Hydra rockets, usually with smoke or white phosphorus warheads used for target marking. OA-10s are physically unchanged and remain fully combat capable despite the re-designation. The A-10 was used in combat for the first time during the Gulf War in 1991, destroying more than 900 Iraqi tanks, 2,000 other military vehicles and 1,200 artillery pieces, making it by far the most effective aircraft of the war. A-10s also shot down two Iraqi helicopters with the GAU-8 cannon. The first of these was shot down by Captain Robert Swain over Kuwait on 6 February 1991, marking the A-10’s first air-to-air victory. Four A-10s were shot down during the war, all by surface-to-air missiles. Another three battle-damaged A-10s and OA-10As returned to base but were written off, some sustaining additional damage in crashed landings. The A-10 had a mission capable rate of 95.7%, flew 8,100 sorties, and launched 90% of the AGM-65 Maverick missiles fired in the conflict. Shortly after the Gulf War, the Air Force gave up on the idea of replacing the A-10 with a close air support version of the F-16. This aircraft proves that sometimes ugly can get the job accomplished. I do know one thing, those pilots who have flown the A-10 loved the experience and go back time and time again for additional thrills.